Mark Haddon is a British novelist and poet, best known for his 2003 novel . He was educated at Uppingham School and Merton College, Oxford, where he studied English. In 2003, Haddon won the Whitbread Book of the Year Award and in 2004, the Commonwealth Writers' Prize Overall Best First Book for his novel , a book which is written from the perspective of a boy with Aspergers syndrome. Haddon's knowledge of Aspergers syndrome, a type of autism, comes from his work with autistic people as a young man. In an interview at Powells. com, Haddon claimed that this was the first book that he wrote intentionally for an adult audience; he was surprised when his publisher suggested marketing it to both adult and child audiences. His second adult-novel, , was published in September 2006. 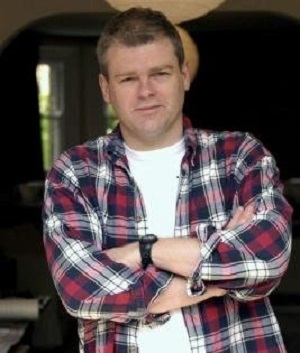 Mark Haddon is also known for his series of Agent Z books, one of which, , was made into a 1996 Children's BBC sitcom. He also wrote the screenplay for the BBC television adaptation of Raymond Briggs's story Fungus the Bogeyman, screened on BBC1 in 2004. He also wrote the 2007 BBC television drama Coming Down the Mountain. Haddon is a vegetarian, and enjoys vegetarian cookery. He describes himself as a 'hard-line atheist'. In an interview with The Observer, Haddon said "I am atheist in a very religious mould". His atheism might be inferred from in which the main character declares that those who believe in God are stupid. Mark Haddon lives in Oxford with his wife Dr. Sos Eltis, a Fellow of Brasenose College, Oxford, and their two young sons.